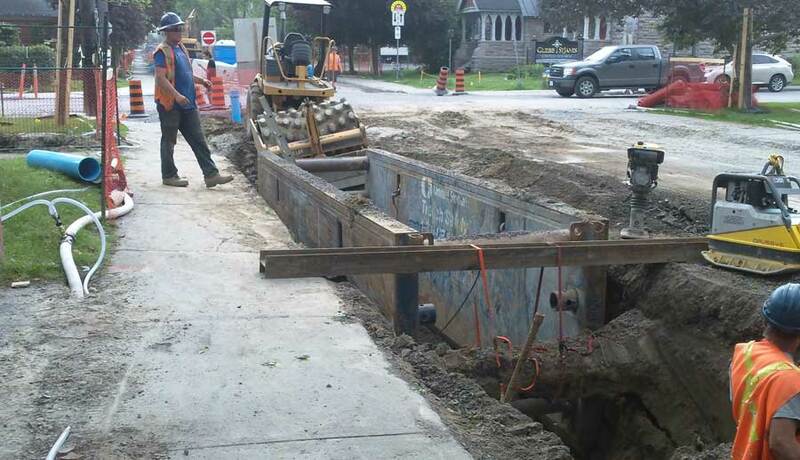 This project was required due to the age of the existing infrastructure and flooding issues related to the condition of the combined sewer servicing the area. 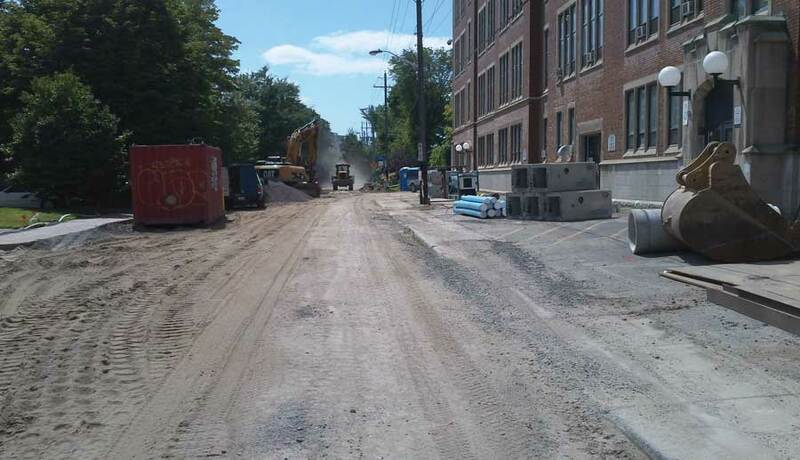 The City of Ottawa decided to replace the combined sewer between Bronson Ave. and Percy St. along with the aging watermain and portions of the sanitary sewer along First Ave. 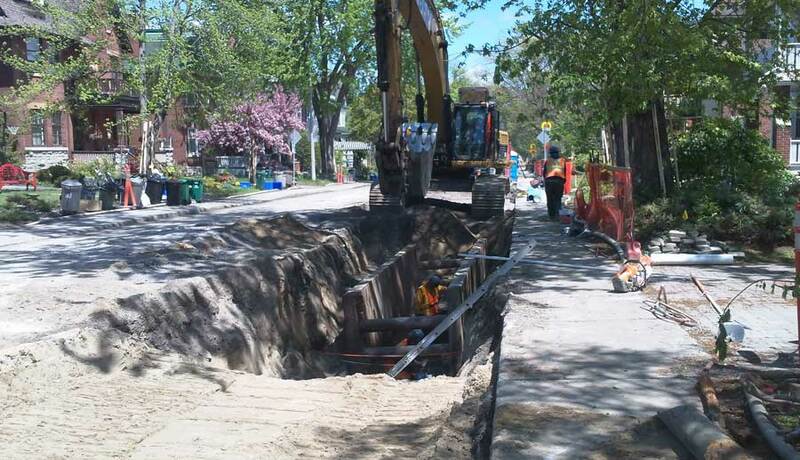 Renewal included the replacement of the sewer and watermain, including a section of sewer lining. ramp-style sidewalks, curb inlet catch basins and roadway modifications to incorporate a safe, functional cycle lane on First Ave. and Percy St. Other aspects of the project included regular project updates with residents and coordination of the lead pipe replacement program as well as the new installation of traffic calming “Intersection Narrowings” at Percy St. and Lyon St. intersections. The use of trenchless alternatives for service replacement was utilized in some cases to limit negative impacts on mature trees and private landscape features within the narrow ROW.